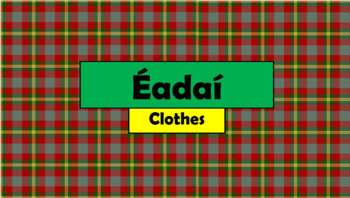 Here you can find 12 different items of clothing in Irish. 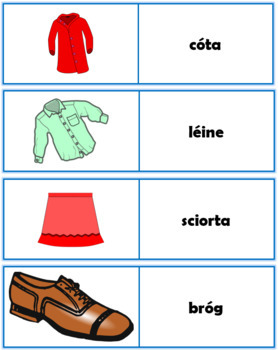 The PowerPoint shows a fun cartoon picture of some items of clothing and the Irish word for them will appear after each click. 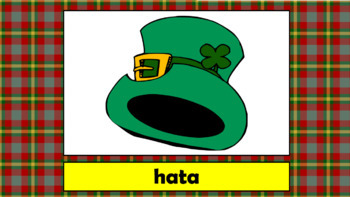 Included in this bundle are flashcards with all the vocabulary from the PowerPoint. 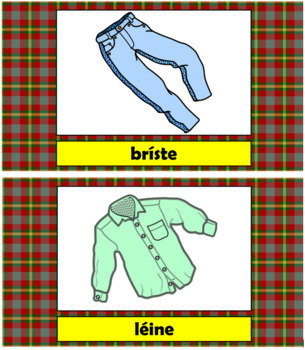 When printed onto large pages, the slides make for nice classroom posters.